This school district had outgrown its existing school buildings and needed to construct classrooms. While waiting for a finance referendum to pass, the school set up Screenflex dividers in the gymnasium to create temporary classrooms. 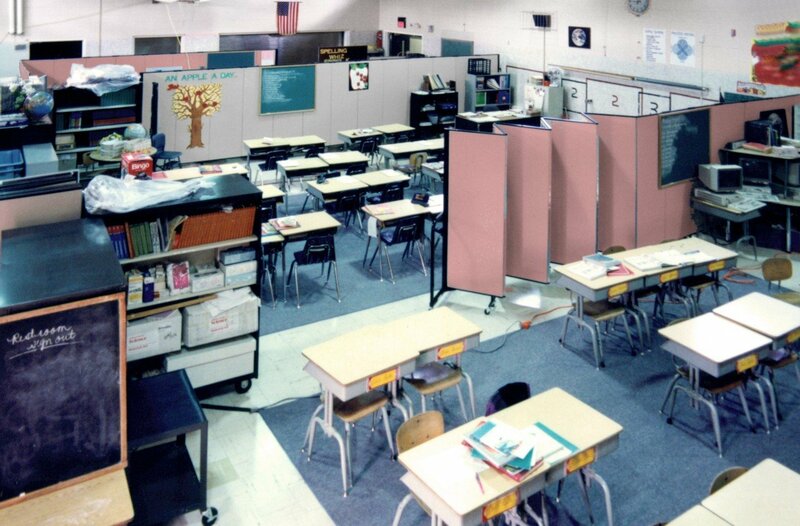 The dividers provide classrooms and assisted the teachers with classroom management. Not only did the walls divide the space into additional rooms, but acted as display walls for posters and artwork, and absorbed sound in the large gymnasium. 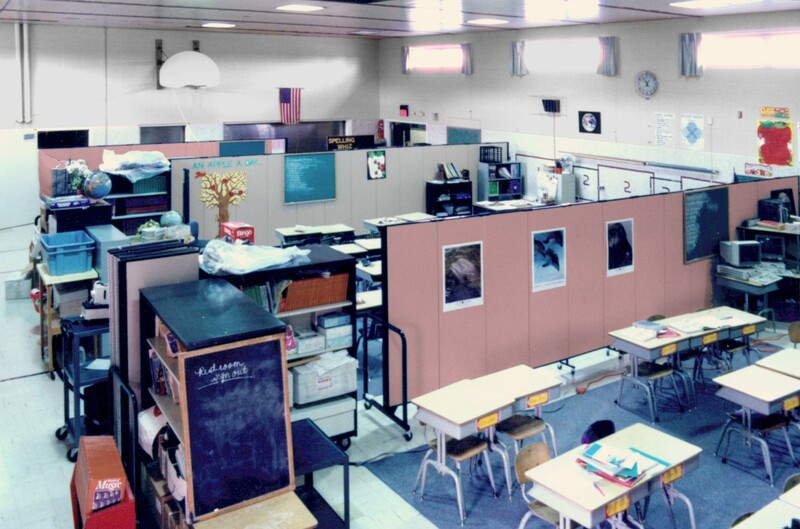 Once new classrooms were built, the room dividers were used to create a private testing area for students and as an art display for art shows. You are never alone in selecting the right room divider for your space. Our sales consultants are available to provide you with a free 2D or 3D rendering of your room with the appropriate size room dividers needed to solve your room dividing needs. Choose from 36 sizes and 38 room divider colors. Obtain the best in classroom management with Screenflex.